Mounts Family Winery was founded in 2005, but prior to launching this label, four generations of their family have lived and farmed in Dry Creek Valley. 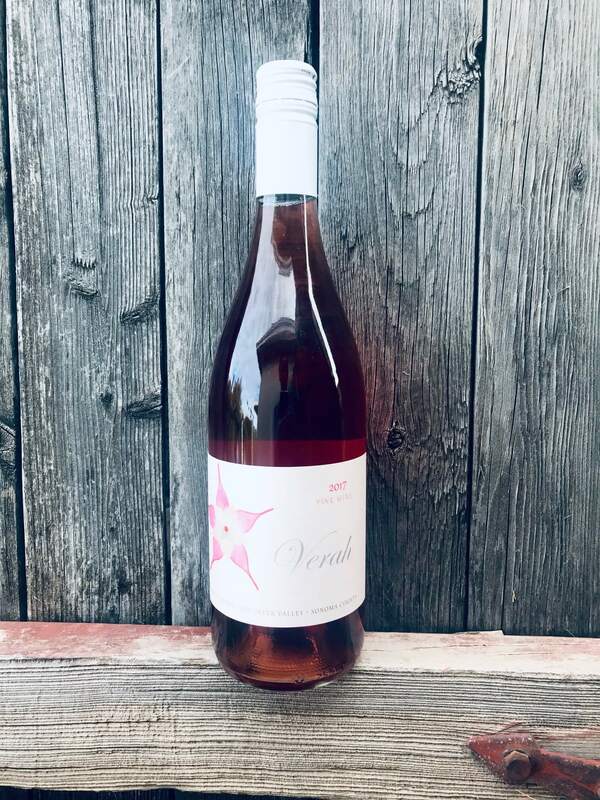 David and Lana Mounts named their Rhône style rosé after both of their maternal grandmothers—both coincidentally named Verah. Verah is also the middle name of David & Lana’s daughter Emily—who happens to be the fantastic artist who drew the flower on the label (isn’t that wonderful!?). Verah means Faith in Russian. 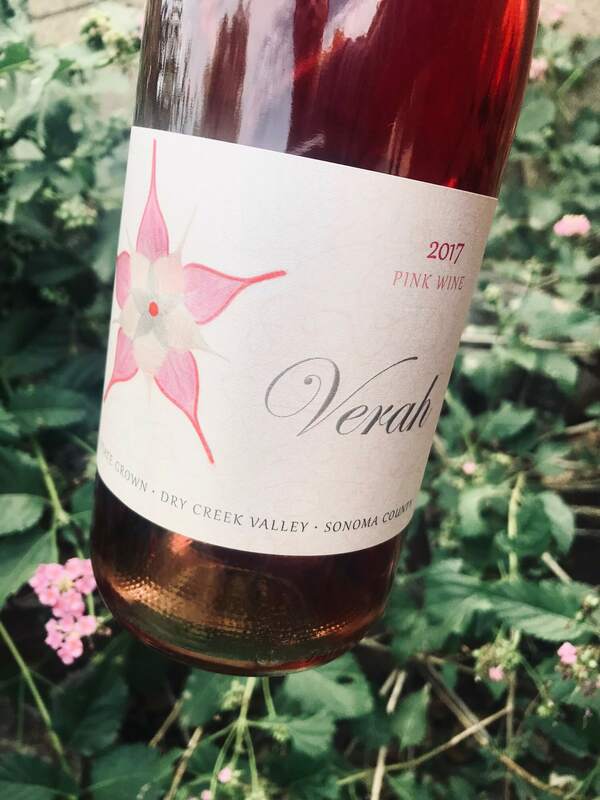 The 2017 Verah (13.8% ABV, $30 retail) is estate grown, and if you look at the flower drawing on the label, you’ll find the color of the wine inspirited within the petals. Dry cherry, subtle earth and stone, all mixed with hints of raspberry and juicy melon on the palate. The acidity is nice, so is the overall mouthfeel. The bottle itself looks sweet. The family story, the meaning behind the name, the candy pink color and flower label… all so sweet. However, the wine is not sweet. It’s elegantly dry with a lovely balance. If you’re a rosé lover, I highly recommend you seek this one out! Thanks to Dave from the #PinkSociety wine chat (check them out via Twitter: @thepinksociety_), this is one of my new favorite rosé’s!